When you visit one of our stores, we'll give a free appraisal and make an offer on your car the same day. * Avoid the hassle of trying to find the right buyer and waiting for payment. Auto Simple offers a simple transaction process with guaranteed payment and no hidden fees. Bring your car to one of our store locations in Chattanooga, Cleveland, Dayton, TN or Dalton, GA. No appointment needed! If you like our offer, you can sell us your car and get paid on the spot. It's that easy! There's no pressure or obligation. 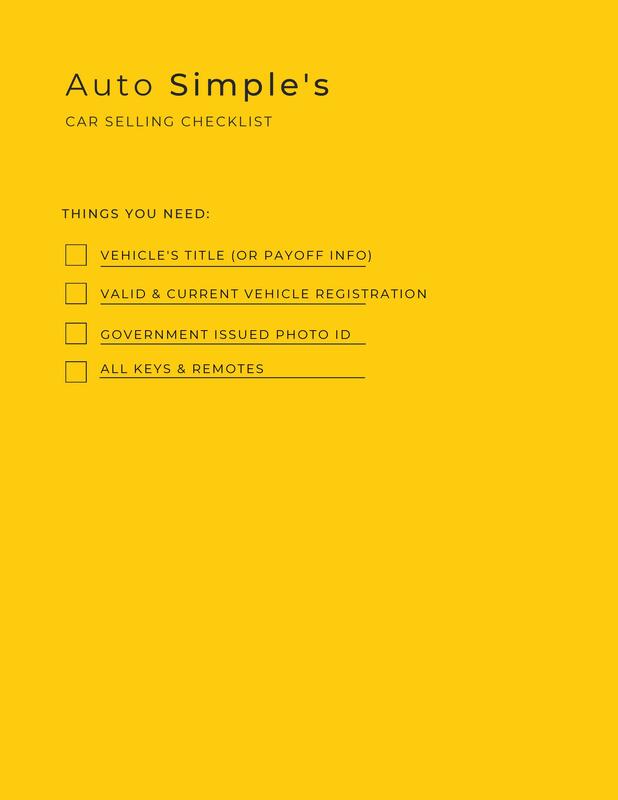 All persons listed on the vehicle title must be present with their government issued photo IDs in order to complete the sale. If a titleholder is unable to come in, please contact the store nearest you to discuss. Make sure that you have everything when you visit your local Auto Simple. Feel free to download our checklist before you arrive.